Today, ASUS broke out a trio of alluring, capable and aggressively-priced smartphones. The new ZenFone 3, ZenFone 3 Deluxe, and ZenFone 3 Ultra seemingly have what it takes to satisfy everyone looking for a solid Android smartphone but expecting to pay no more than $500. While ASUS' ZenFones have already made a name for themselves by offering considerable value for money, the saturated market conditions and price undercutting have pushed the smartphone maker to up the ante in nearly every aspect. We'll go through the three units' key design and spec details, then reflect upon their pricing and expectations for their chances in a market that's become filled with credible alternatives. 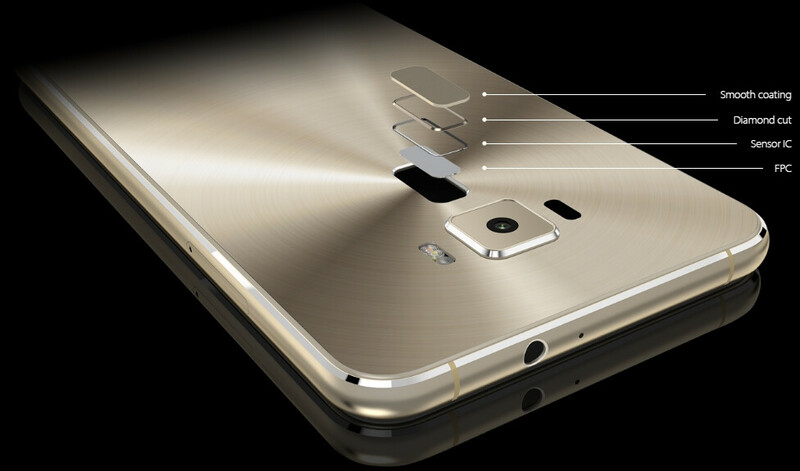 ASUS has re-imagined the ZenFone with metal and glass. The ZenFone 3 line-up is the first family of all-metal ASUS smartphones, a reliable, if not compulsory choice of material in the nascent era of $200 aluminum-bodied handsets. But that's not to say the "lesser" models aren't built to impress! Mind you, it was actually the ZenFone 3 that won a design award at Computex 2016 by virtue of an excellent 77.3% screen-to-body ratio and a metal body encased in curved, scratch-resistant Gorilla Glass. And where the ginormous ZenFone 3 Ultra lacks the "glass sandwich" appeal, it does rock a slim aluminum exterior with a fantastic 79% screen-to-body ratio, achieved by trimming the bezels around the display. All three models are notable for being clean of antenna cutouts, which is innovative engineering on ASUS' part. Hopefully, the design doesn't compromise signal reception. ASUS comfortably ditched the Quad-HD screens prevalent in current high-end smartphones in favor of the tried and tested 1080p resolution. This is what all the new ZenFones' displays are tuned to. While the humongous 6.8-inch panel on the ZenFone 3 Ultra could have benefited from the higher pixel density of Quad-HD res, it will still appear reasonably sharp. It's an IPS LCD screen that covers a 95% NTSC color gamut for pleasantly saturated colors and also boasts ASUS' Tru2Life+ video optimization tech that promises better contrast and fidelity. 1080p resolution still cuts it for an ambitious smartphone. Moving on, the ZenFone 3 gets a 5.5-inch Super IPS+ 1080p resolution screen, and the flagship ZenFone 3 Deluxe is granted a 1080p Super AMOLED display with an extended NTSC color gamut for richer colors. ASUS's decision to differentiate the flagship model with a non-LCD screen is intriguing, and while we don't expect the three ZenFones to exhibit stark differences in image quality, we reckon ASUS had something specific in mind when it chose an AMOLED screen for the hero model. Could it be the color saturation, battery efficiency, or something else entirely? We'll see. Goodbye to Intel and hello to Qualcomm. Warning – here be dragons! It appears ASUS and Intel's one-time silicon romance ended in an amicable (or less than) split, as the new ZenFone trio is all Qualcomm inside. Unsurprisingly, the flagship ZenFone 3 Deluxe features the top-shelf Snapdragon 820 processor. Its 64-bit custom quad-core Kryo CPU's maximum clock frequency ticks north of 2GHz, while its Adreno 530 GPU is suitable for heavy lifting, such as 4K video playback and encoding, and running the latest games. Moreover, the GPU should be able to meet the demands of upcoming Vulkan and Daydream-powered 3D and VR titles, which is a welcome bit of future-proofing. Also, the chipset works in tandem with an "I support everything" X12 LTE modem, as well as up to 6GB of RAM and 64GB of expandable storage. The phone is powered by a 3000mAh battery, which ought to be sufficient for a day's work. Moving down the ladder, the ZenFone 3 is the first smartphone to ship with the Snapdragon 625 Qualcomm's first 600-series chip made on a 14nm process. It's got an 1.2GHz octa-core CPU with stock Cortex-A53 cores, paired with the Adreno 505 GPU, 4GB of RAM, and 64GB of storage. The ZenFone 3 Ultra runs on the Snapdragon 652, an upper mid-range chip that appears to be a trending cost-efficient choice among Qualcomm's clients. It has an octa-core CPU with stock ARM Cortex A72 and A53 cores pushed to 1.8GHz max frequency, paired with the Adreno 510 GPU, 4GB of RAM, and 64GB of storage. Both handsets are nicely configured, and while they don't wield quite the same grunt as the Snapdragon 820-powered ZenFone 3 Deluxe, they will hold their own in essential applications, including 4K video capture and playback, connectivity, and graphics processing. However, the SD 652 is built on an aged 28nm process, while the Snapdragon 820 and 625 both benefit from a modern 14nm process. This means the 652 might run hotter and be less energy-efficient than these models. The ZenFone 3 Ultra and Deluxe should hold their own against the flagship model. While the ZenFone 3 too packs a 3000mAh battery, ASUS took advantage of the Ultra model's footprint and stuffed a much bigger, 4600mAh unit in it. This doesn't mean the phablet will offer longer battery life, however. We expect the additional energy consumed by the larger screen, and the 28nm chip will even the playing field between the Ultra and its 3000mAh brethren. Finally, all three models feature fingerprint sensors for biometric security, USB Type-C ports, Quick Charge 3.0 support, NFC, Bluetooth 4.1, and handle nearly all global wireless communication standards. ASUS wants to deliver quick, detailed shots that stay in focus. For the ZenFone 3 Deluxe, ASUS brought a 23MP main camera with Sony's latest Sony IMX318 image sensor, an f/2.0 aperture lens, and 4-axis optical image stabilization for photos. 3-axis electronic image stabilization is utilized when shooting 4K videos, perhaps to prevent the moderate to offensive "jello" effect sometimes associated with optically stabilized smartphone footage. This capable unit is enhanced with ASUS's TriTech autofocus system for automatic selection between laser, phase detection, or continuous autofocus in an effort to ensure fast and reliable auto-focus and subject tracking. The ZenFone 3 Ultra features the same setup, while the ZenFone 3 enjoys the same set of extras, but reduces the megapixel count to 16MP. We also don't know whether it uses the same Sony sensor, or an older/different model. On the front side of things, all three handsets feature 8MP selfie cameras, which should provide detailed, high quality face shots. We'd say the new ASUS ZenFones seem like a value proposition that's worth the attention, but is also aggressively competed with by other industry players. Looking at prices, the basic ZenFone 3 starts from $250, the Deluxe version goes for $499, and the Ultra is priced at an aggressive $479 – possibly due to the tablet-like display's limited appeal. While the trio presents a solid combination of design and hardware power for the price, it might have a hard time standing out. ZTE plans to shake up the U.S. market with its new AXON 7 flagship handset. It's got a beefier set of specs than the ZenFone 3 Deluxe, an attractive Designworks-masterminded design, and it's going to retail for just $449. If ZTE makes the right marketing moves, it might just pull the rug under ASUS' feet. The new ZenFones might have some trouble standing out on their strengths alone in the incredibly competitive market. Likewise, the ZenFone 3 trio will eventually be challenged by the new Moto G4 and G4 Plus. In terms of specs, Lenovo Moto's affordable duo has what it takes to compete with the basic ZenFone 3 at its price point, and also lets users customize its appearance via the Moto Maker service. However, we're yet to learn when these phones will hit the U.S. market, and what their exact pricing will be. Additionally, the OnePlus 3 is set to debut in June, expected to offer metal design and flagship secs for $300 to $400, depending on the configuration. All in all, ASUS will find it hard to compete on the strengths of its new phones alone when such alternatives are about to arrive. However, ASUS is clearly moving in the right direction, offering more than it's ever done before for your hard-earned money. May 30, 2016, 6:05 AM, by Peter K.
May 30, 2016, 4:30 AM, by Victor H.
May 30, 2016, 3:12 AM, by Nick T.
May 25, 2016, 3:45 PM, by Alan F.
6.8 inches.. yahoo! Now that's what I am talking about.. a true phablet unlike the other 5.5 inch puny pretenders out there. I can see Asus responding to the inevitable launch of the xiaomi mi max phablet here in India and have tried to one up it by launching an even bigger device with same specs. They can't compete with xiaomi's price so I guess they are launching it early. As long as it's priced under 15000 rupees, I can see many people buying it. wow only a passat. thats dissapointing. i was able to get a bmw m5, eat dirt aunty alexa. Hell yeah...250 USD into $326 Dollars in Canada for the base model. That's what's up! And if it comes with an unlocked bootloader...Asus take my monies. Also, finally an OEM using the 625 chip in 14nm for dat extra long battery life. And also, the reg and deluxe is 77% and 79% screen to body ratio... That's some LG G2 levels there! I'm honestly very proud of Asus and the competitive pricing they're using. Its only a matter of time many manufacturers do the same.